The monthly rent for a two-bedroom, 1,075sqft duplex at The Morgan on Conduit Road, Mid-Levels, developed by Phoenix Properties. The estimated rental yield for a 304sqft, one-bedroom unit at Eight South Lane, Shek Tong Tsui, an up- and-coming area in Sai Wan. The percentage by which capital values in the residential sector are expected to grow in 2018, though they could rise by as much as 20%, based on the JLL Year-end Property Market Review and Forecast published in December 2017. The price paid in December for two semi-detached units with a saleable area of more than 9,170sqft at Hang Lung Properties’ 27 Blue Pool Road, Happy Valley. The units were subsequently combined into one home. The monthly rent for a 2,148sqft flat at Queen’s Garden, Mid-Levels. The actual price, after discount and rebate, of unit 10A, Tower 3, Oasis Kai Tak, by Wheelock Properties. The asking price for the two-bedroom flat was HK$14,426,000. The percentage increase in price per square foot for a three-bedroom unit in Altamira on Po Shan Road, Mid-Levels West, from November 2017 to December 2017. Each unit in the development has an average size of over 2,000 square feet and a price tag of $120 million. 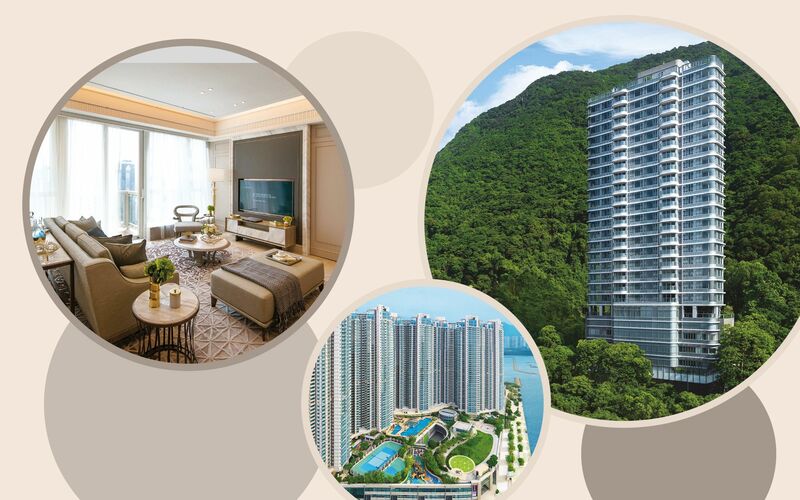 The average price per square foot of the last two- and three- bedroom units sold at Hang Lung Properties’ The Long Beach in southwest Kowloon. The number of units sold in New World Development’s Bohemian House, Sai Ying Pun, in the first three months after its launch. The total number offered for sale was 191.